Experience the speed, power and versatility of SuperSpeed USB 3.1 10Gbps (USB 3.1 Gen 2) with the SK-3501 U3.1 storage enclosure for 3.5" desktop drives. Stylish, compact and simple to use, this fanless aluminum enclosure is ideal for quiet working environments. 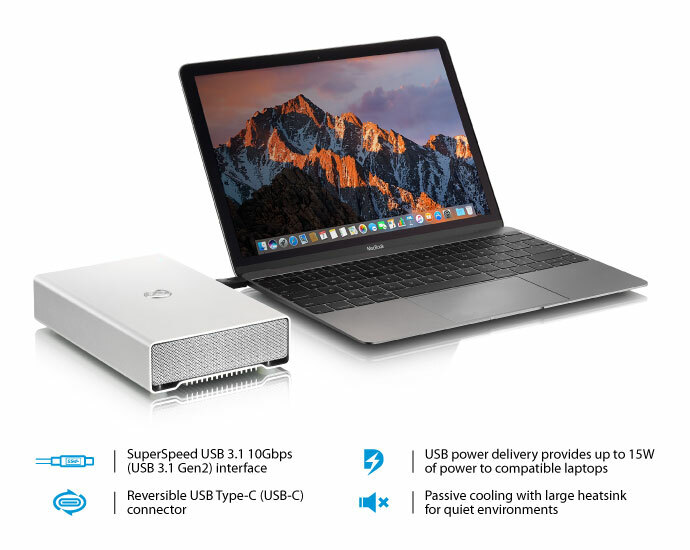 By incorporating the latest SuperSpeed USB 10Gbps (USB 3.1 Gen 2) technology, the SK-3501 U3.1 is able to deliver up to twice the speed of the USB 3.1 Gen 1 connection which runs at only 5Gbps. At the same time, with a corresponding USB-C to USB adapter cable, the device is also backwards compatible with the widely used USB 3.0 technology. The reversible USB Type-C (USB-C) connector enhances ease of use for connecting USB devices with a focus on minimizing user confusion for plug and cable orientation. 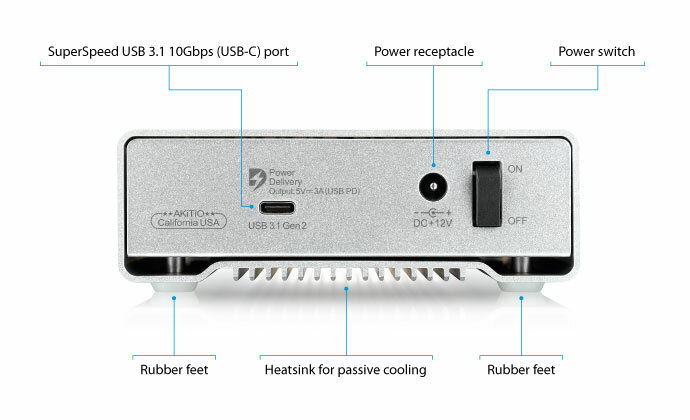 The SK-3501 U3.1 supports power delivery (PD) over USB-C, providing 15W of power to laptops like the MacBook Pro (late 2016) that support charging from a 5V/3A power source. This allows you to work with the external drive without the battery levels of your laptop dropping even though the laptop is not plugged into any other power source. 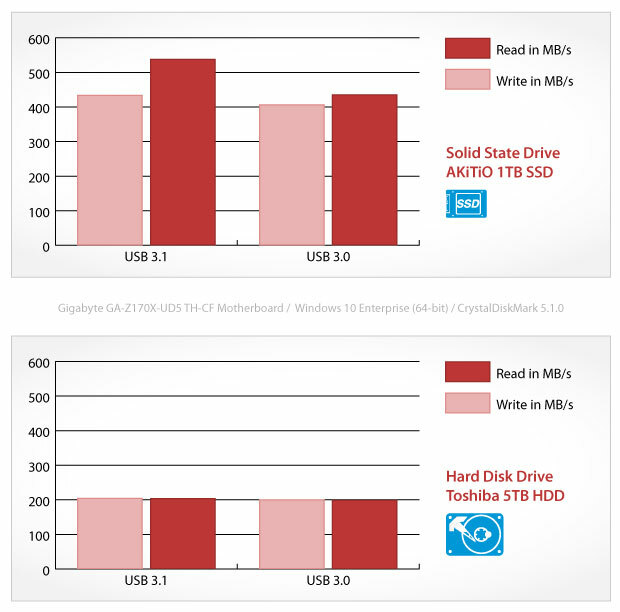 Results will vary depending on the test environment and the drive but with a SATA 6Gb/s SSD, the USB 3.1 interface provides sufficient bandwidth to max out the performance of a single SSD. For a traditional spinning hard disk drive like any 3.5" SATA HDD, the transfer rate is limited by the drive to around 200 MB/s. Computer with USB Type-C connector or otherwise a USB-C to USB Type-A adapter cable is required (not included). This device is not backwards compatible with USB 2.0 computers. This device is not backwards compatible with USB 2.0 computers. Even with a 2.5" SSD, this enclosure always requires an external power adapter.